After more than 15 years professional experience in the removalist industry and having moved a number of times ourselves, we understand the value of providing a stress-free moving service. 5 Star Service and Affordable Prices. And our affordable prices allow you to select a cheap hourly rate, or even a fixed rate for longer distance relocations. Our company continues to grow, with 70% of our bookings coming from repeat business and referrals from family and friends. We strive to listen to you and meet your specific needs. Furthermore, your hard-earned possessions are your assets – so we treat them with the utmost respect and care! 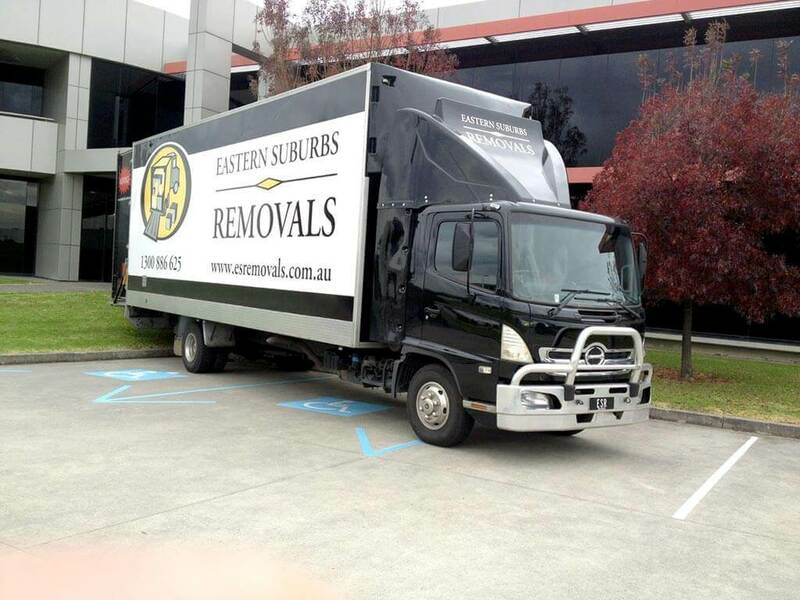 Eastern Suburbs Removals is a family-owned business that was founded in 1995 in Ringwood, in Melbourne’s east by Archie Psallas and his father George. In 1999, Archie’s wife Christine Psallas joined the business as a partner. Our passion for personalised, friendly service, quality, reliability and affordable prices has seen the company continue to grow rapidly over the last 15 years. In 2009, with a pressing need for a bigger depot and offices, Eastern Suburbs Removals expanded their site in Melbourne’s eastern suburbs. Eastern Suburbs Removals offers their clients an inexpensive service to help declutter your home. In addition, an exclusive range of special packages and a valet service were introduced for busy professionals and ‘time-poor’ customers needing extra help with their relocation. If you’re like most people, when removalists arrive at your home, you want them to be honest, experienced, trained and strong! Enthusiasm and a smile are also a must. Eastern Suburbs Removals is meticulous about training its staff. Each team member undergoes strict training to OHS and National Removalists Association standards in correct lifting procedures, so that your belongings are moved in the safest and most efficient way possible. Since we have an exstensive, well trained team of employees, we can look after your relocation whether you need 2 men or 10 men. Our modern fleet of heavy duty Hino trucks are each 40-60 cubic capacity, to comfortably cater for larger loads. This can save you time and money when you’re paying by the hour. Due to consistent growth, we’re now in the process of adding more trucks to our fleet. To provide a quicker, more affordable move we use ramps, not tailgates. All trucks are fully equipped with trolleys, blankets, straps and piano trolleys, to ensure the safety of your possessions. To talk with one of our friendly consultants call us now on 1300 886 625. How Can We Help With Your Next Move? Friendly, Professional, ReliableI had a 200kg fire place and accessories that needed picking up from a store and be delivered to my home. Christine answered the phone and asked all the right questions (you'd be surprised how many "Clowns" think they could make a quick buck, delivering a 200kg fireplace by themselves, completely underestimating the task).Christine managed to fit in the delivery three days later. The team arrived, unloaded, unpacked and helped me to put the fireplace in the right position, ready for the installer. All was dealt with due care and professionalism so not to damage the floor boards, walls or the fireplace in the process and all at a very good price. On the day of delivery, Christine kept me informed of the progress and all was sorted in no time and in the afternoon Christine called again to check that all went well.I'm a bit of a perfectionist and don't say this often, but based on my experience today, I can highly recommend this comapny and will not hesitate to use them again in the future.Thank you very much Christine and Team!! Could not fault this company, called in a panic on a Saturday to organise removals from my business warehouse to 3 drop offs. Booked in for 3 days later, turned up on time, friendly, courteous, efficient and took a huge weight off my shoulders. Would recommend this company to anyone, thankyou Christine and your crew. We are incredibly happy with the service we received from Eastern Suburbs Removals. The guys were incredibly friendly and took excellent care of our furniture as well as walls and doors in both homes. They were also quick to help us pull furniture apart and were happy to move things from one room to another as we made up or mind about positioning etc. Would definitely recommend! I had Eastern Suburbs Removals help me out with moving and I couldn't be more pleased with the outcomes. From the first phone call with Christine, who carefully explained all charges and what to expect, to the actual removal day with Mitch and Michael. These guys were efficient, careful and "went-the-extra-mile" with a few difficult-to-move items. They arrived within their specified time and worked quickly to help minimise my costs. The final cost was very reasonably priced for an excellent job. I would recommend this company unreservedly. Excellent service plus a really helpful and efficient team helped us move. We had two pick up points and a pretty disorganised storage unit and they were fantastic throughout. Took everything we asked for and did it all very quickly.Took the time to ensure all our items were placed where we wanted them in the new house and even rearranged a few things we decided were put in the wrong place.Would absolutely recommend this company to anyone moving house. Amazing service, made my whole move worry free, would recommend Eastern Suburbs Removals to anyone!!! Thanks again guys!! Wayne..
Second time I've used these guys. They are awesome, nothing is too much trouble. Cheerful, polite and so good at what they do. Highly recommend them!!!!!! Could not recommend Eastern Suburbs Removals more highly. The guys turned up promptly and set about it like absolute pros. When we arrived at our new place we were forced to wait as a lesser removals company held us up as they packed up and vacated our new place. So glad we got the best. We recently used ESR for the second time for a house move, again they were brilliant. They are careful, courteous and get the job done! !